As we mentioned in our last post, we have two exciting new Close Listening programs from PennSound co-director Charles Bernstein to discuss this week. Last time, we introduced his episodes focused on Myanmar poet ko ko thett, and today we're highlighting a new episode featuring poet Tyrone Williams. Born in Detroit, Williams is the author of c.c., On Spec, The Hero Project of the Century, Adventures of Pi, and Howell. He's taught at Xavier University in Cincinnati since 1983. Over the course of forty-five minutes, Williams talks to Bernstein about "growing up working class in Detroit; bookishness and the role of education and his early teachers; assimilation versus resistance and formal innovation in American poetry in relation to his dissertation on ?Open and Closed Forms In 20th Century American Poetics? ; his practice of ?eshuneutics? (after Yoruba spirit Eshu); the use of appropriation in his poetry and the necessity of research and reading beyond one?s immediate knowledge context; and the politics and history of English for African-Americans." 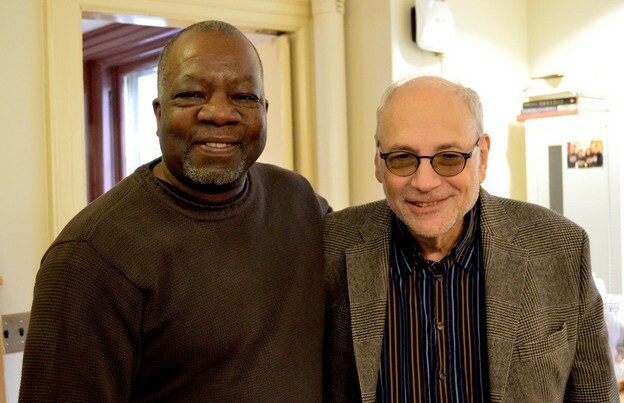 On Williams' PennSound author page, you'll find a wide array of readings spanning the past decade, including his February 7th reading at our own Kelly Writers House that followed this Close Listening recording session. Click the title above to start listening. This week draws to a close with a very exciting new addition to our Jacket2 Reissues section: a complete run of the much-beloved journal Aufgabe. 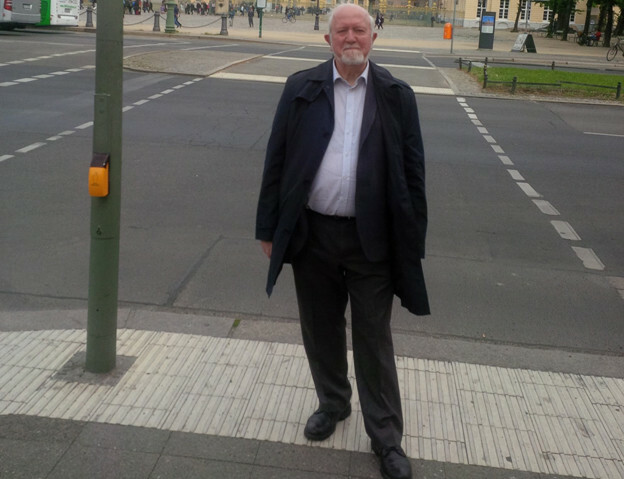 As Reissues editor Danny Snelson notes, "The task of recounting the work of Aufgabe is formidable." He continues: "Founding editor E. Tracy Grinnell initiated the magazine in the Bay Area in 1999. Over the next fifteen years, Aufgabe has featured seventy editors, roughly 700 writers, nearly 150 translators, and twenty artists from twenty-three countries. The magazine was uniformly released from 2001 until 2014 in perfect-bound 6" x 9" format with one thousand copies printed per issue. In each issue, Aufgabe 'challenges static cultural modes of thinking and being' through a dense global network of innovative poetry and poetics." Snelson's introductory note continues acknowledging the geographical diversity of the journal's participants and guest editors, along with its stated privileging of "the editorial art itself," which is clear from a mere moment's glance at the tables of contents for each of Aufgabe's thirteen issues. You can browse those issues, or download bookmarked PDF files of each here, and don't forget to visit our Reissues homepage, where you can survey the many other journals that have been preserved by Snelson and his crew. We have recently created a new series page for the Kootenay School of Writing, the venerable, Vancouver-based writing collective now in its thirty-third year of existence. Encapsulating what you'll find there will not be easy. As you might expect, there are a lot of Canadian authors, and non-Canadian authors as well. There are a lot of recordings in general — hundreds, in fact, with the majority of them coming from the 1990s and 2000s, though the 80s and teens are well-represented as well. Some of the names you might encounter there: Carmen Aguirre, Ken Belford, Bruce Boone, George Bowering, Dionne Brand, Suzanne Buffam, Alice Burdick, Danika Dinsmore, George Evans, Marwan Hassan, Jeanne Heuving, Brook Houglum, Kevin Killian, Dorothy Trujillo Lusk, Nicole Markotic, Daphne Marlatt, Barry McKinnon, Duncan McNaughton, Peter Nichols, Douglas Oliver, Michael Palmer, Meredith Quartermain, Peter Quartermain, Sina Queyras, Denise Riley, Stuart Ross, Jordan Scott, Nico Vassilakis, Melissa Wolsack, and many, many more. This impressive roster of poets really needs to be seen to be believed, so you should just check out our KSW series homepage and find one (or several) of your favorite poets to start with. Better yet, this is just the start of KSW recordings that we'll be adding to the site in the near future! Jacket2 is delighted to welcome Divya Victor to our team as our new guest editor. Divya has long been a friend of the journal: she has curated and edited two extraordinary features, "Discourses on Vocality" and "Conceptual writing (plural and global) and other cultural productions" — the latter of which is one of our most massive and ambitious features to date — and written insightfully on her time in Singapore as part of our Commentaries section. She is a prolific poet whose titles include the award-winning Natural Subjects (reviewed here), UNSUB, Things to Do with Your Mouth, Swift Taxidermies 1919–1922, Goodbye, John! On John Baldessari, PUNCH, and the Partial trilogy, as well as a number of chapbooks. Her next book, Kith, includes poetry, prose, and essays on globalization and the South Asian diaspora, and is forthcoming from Fence and BookThug. 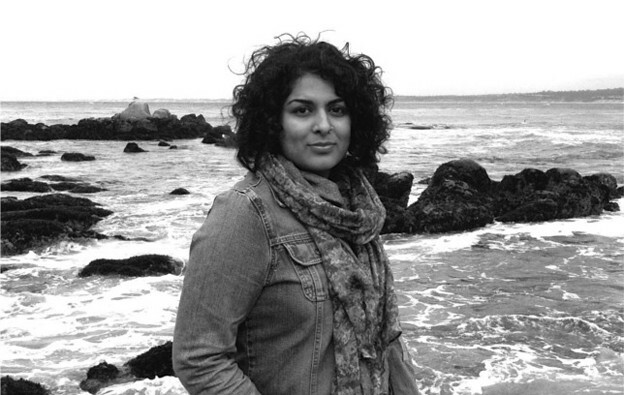 Divya currently teaches poetry and poetics at Nanyang Technological University in Singapore, and has previously been a Mark Diamond Research Fellow at the US Holocaust Memorial Museum, a Riverrun Fellow at the Mandeville Poetry Collections at University of California San Diego, and a writer in residence at the Los Angeles Contemporary Exhibit (LACE). We at Jacket2 are thrilled to have such an insightful and brilliant editor and writer join us. Welcome, Divya! PoemTalk 110: on Philip Whalen's "Life at Bolinas. The last of California"
Earlier this week we released the latest episode in the PoemTalk Podcast series, its 110th in total, which addresses Philip Whalen's poem, "Life at Bolinas. The last of California," written between 1968–69. 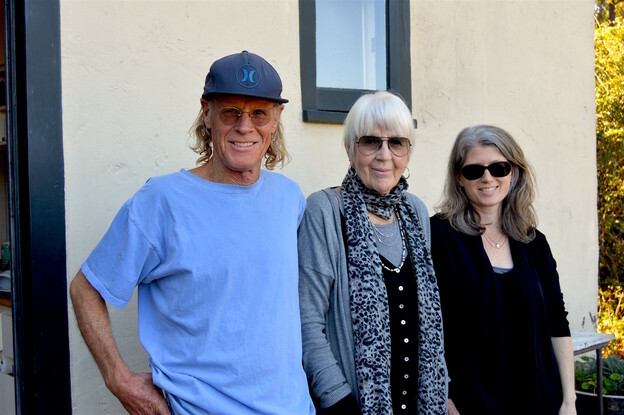 Appropriately enough, for this program, host Al Filreis hit the road to the Bolinas home of poet Stephen Ratcliffe, where, together with Joanne Kyger and Julia Bloch, they conducted a lengthy discussion of the work. In his introduction on the PoemTalk blog, Filreis starts his discussion of the poet itself by considering the one word in its title that seems somewhat out of place: "What does Whalen mean by 'last'? Is this a farewell to Bolinas? Is there something final about the experiences reported here in this collage of memories and scenes? Joanne at several points observes that at least parts of the poem seem to have been written in Kyoto, and that Kyoto scenes are a presence in its lines, mixed with memories of Bolinas, a recent past seen from afar. Even 'Duxbury Pond,' as locally specific a reference to Bolinas as could be, is pronounced unlocally (as Stephen and Joanne both notice). The outsider's enunication suggests that the poem is the ode to places composed from beyond them. Then again, there's a precise evocation of the late Bolinas autumn ('Blithering dead leaves along the ground / Crooked sunlight'); the desolate, windy scene intruded upon only by very particularized raccoons; and the real clock Whalen broke at the Doss house where he was staying as a guest. The speaker is there." You can read more — and both listen to and watch this special episode — on Jacket2. We have an exciting new performance from legendary Canadian sound poets the Four Horsemen that you'll want to check out. Recorded on October 11, 1984 at the Tivoli in Toronto, this set runs just over forty minutes and features eight individual pieces. All four members of the group — bpNichol, Steve McCaffery, Paul Dutton, and Rafael Barreto-Rivera — are present, and McCaffery plays reeds in addition to vocalizing. You'll find this new gem on our Four Horsemen author page along with three complete albums — Nada Canadada (1973), Live in the West (1977), and Two Nights (1988) — and a variety of links and other resources. Our individual author pages for members bpNichol, Steve McCaffery, Paul Dutton, and Rafael Barreto-Rivera — are also well worth checking out. We're grateful to both Dutton and Gary Barwin for their help in bringing this recording to our site. We're very sad to report the news that legendary poet Joanne Kyger — whose long career (starting more than fifty years ago with The Tapestry and the Web) bridged multiple schools and styles — has passed away at the age of eighty-two. Just recently, we were proud to have Kyger as panelist for the latest PoemTalk Podcast on Philip Whalen's "Life at Bolinas. The Last of California", and Kyger's own poem "It's Been a Long Time: Notes from the Revolution" was the subject of PoemTalk #79 from 2014. Kyger was also the subject of an extensive feature in Jacket #11 (2000), which was edited by Linda Russo. Of course, you'll also find am impressive archive of recordings on our Joanne Kyger author page, going as far back as her appearance at the Berkeley Poetry Conference in 1965. From there, we have numerous recordings from Bolinas and San Francisco (from the 1970s, the 2000s, and the 2010s), East Coast visits to read on Public Access Poetry (in 1978) and for Dia's Readings in Contemporary Poetry series (in 2015) and a handful of other interesting recordings from along the way. We humbly acknowledge the void that Kyger's death leaves in the world of contemporary poetry and send our condolences to her family, friends, and fans. "Richard Swigg was a great friend of PennSound, editing our extensive sound recording collections of Williams, Bunting, Tomlinson, Oppen, and Replanksky. His work was thorough, with the aim of archiving all the audio recordings of these poets. He was tireless in his efforts — he spent decades assembling the recordings — and worked with us in securing permission to make these recordings available on PennSound." None of these author pages are modest by any means. The Williams page brings together more than thirty individual recordings, many of which include dozens of tracks each. The Tomlinson page includes a core collection of the poet reading his entire published output (653 poems! ), which is supplemented by other recordings. Moreover, I think it's noteworthy that he approached the work of Tomlinson and Replansky with the same tireless enthusiasm and respect that he afforded to titans like Williams and Oppen, and that his passion was contagious, benefiting us all greatly. As Charles notes, "Richard urged Al Filreis and I to visit 100-year-old Naomi Replansky, whom he had recorded for PennSound. We did and that was a great experience for us." While his work as both a scholar and archivist of recorded poetry was central to PennSound, I'd also like to highlight the fine work he shared with us at Jacket2 over the past few years. As the editor who worked most closely with him — particularly on Paul Auster's startling interview of the Oppens (which he toiled to uncover like a needle in the proverbial haystack, then transcribed from a poor-quality tape and edited for publication), and his mammoth collected correspondence between Oppen and Tomlinson (which is essentially a book-length manuscript) — I will miss our exchanges and everything I learned from chatting with him and reading his prose closely. As I told Virginia after hearing the terrible news, I'd been thinking of him recently (probably right around the time of his death) and getting ready to drop him a line to see what marvelous project he might be cooking up for us next. Certainly, the passing of such a generous and dedicated scholar leaves a void that's very difficult to fill. All of us at both PennSound and Jacket2 share our condolences with Richard's family, colleagues, and friends. After a harrowing few days we're happy to have some good news to report, involving PennSound poets Claudia Rankine and Nate Mackey (who was in town recently as one of this year's Kelly Writers House fellows). Earlier this week, the Library of Congress announced that were the recipients of the 2016 Rebekah Johnson Bobbitt National Prize for Poetry. Rankine's prize honors her groundbreaking book, Citizen: An American Lyric, while Mackey is being recognized for his lifetime achievements. The awarding panel included "Boston Poet Laureate Danielle Legros Georges, selected by 21st Poet Laureate Consultant in Poetry Juan Felipe Herrera; National Book Award-winning poet Mary Szybist, selected by Librarian of Congress Carla Hayden; and scholar Betty Sue Flowers, selected by the Bobbitt family." As the LOC press release explains, "The Bobbitt Prize, a biennial $10,000 award, recognizes a book of poetry written by an American and published during the preceding two years, or the lifetime achievement of an American poet. The prize is donated by the family of Rebekah Johnson Bobbitt of Austin, Texas, in her memory, and awarded at the Library of Congress. Bobbitt was President Lyndon B. Johnson's sister. While a graduate student in Washington, D.C., during the 1930s, Rebekah Johnson met college student O.P. 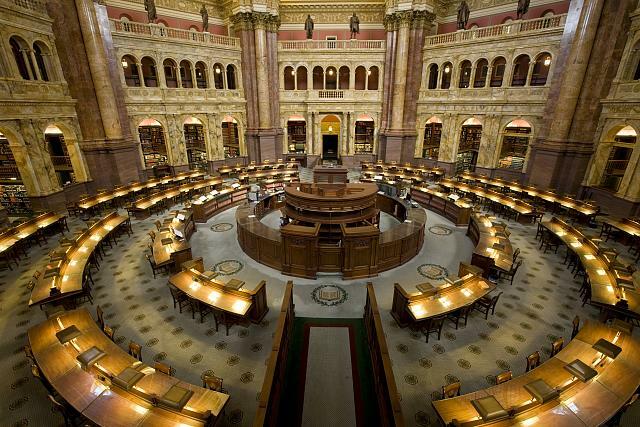 Bobbitt when they both worked in the cataloging department of the Library of Congress. They married and returned to Texas." The two winners will accept their awards and give a reading in Washington, D.C. on April 20th. In the meantime if you'd like to get a preview of the festivities, or sample the work that earned them this recognition, then check out the numerous readings you'll find on their PennSound author pages: you'll find Rankine's here and Mackey's is here. Your weekend listening plans are set now, because we have thirteen new and exciting episodes of Cross Cultural Poetics — the long-running and much-beloved program hosted by Leonard Schwartz (shown at right) and broadcast on Olympia, Washington's KAOS-FM — have just been posted to the site. We start with Episode #353, "Konundrum," in which Peter Wortsman talks about and reads from his new translations of Franz Kafka in Konundrum: Selected Prose of Franz Kafka. He's followed in episode #354, "Sowing the Wind," by Edward Foster who shares selections from his new book of the same name. Episode #355, "Gretl," shifts gears to opera with Anya Matonovic, soprano, discussing her playing one of the title roles in Engelbert Humperdink's opera Hansel and Gretel for Seattle Opera. Then for episode #356, "Thomas Traherne Series," Susan M. Schultz reads from her latest collection, Memory Cards: Thomas Traherne Series. Episodes #357 and #358 feature one long conversation spread across the pair, with Paul Vangelisti discussing his co-translation (with Lucia Re) of Italian poet Amelia Rosseli's War Variations. Episode #359, "The Poet Ida Perkins," is named after the protagonist of Jonathan Galassi's debut novel, Muse, while episode #360, "Opera," tackles that topic from two angles with guests Dean Williamson, conductor (who's worked with the Nashville Opera and NYC's City Opera) and poet Edwin Frank, (who talks about his poem "Opera: Die Meistersinger misremembered in two broken parts"). Episode #361, "Writing During War," features Palestinian poet Somayo el-Sousi, co-author of a 2014 text with the same title. For episode #362, "Fiery Jade," composer Greg Youtz and librettist Zhang Er discuss their new opera Cai Yan (Fiery Jade), based on the life of the great classical female Chinese poet. We travel to Sudan with poet Najlaa Osman in episode #363, while in episode # 364 we travel to Central Asia with Afghan-American poet Zohra Saed, author of Langston Hughes: Poems, Photos, and Notebooks from Turkestan. Finally, in episode #365, "The Trump Era," Political philosopher Michael Hardt talks about forms of resistance in the era of Trump, as well as his forthcoming book, with Antonio Negri, Assemblage. You can listen to all of these new programs, as well as hundreds more going all the way back to the program's 2003 debut on our Cross Cultural Poetics series page.